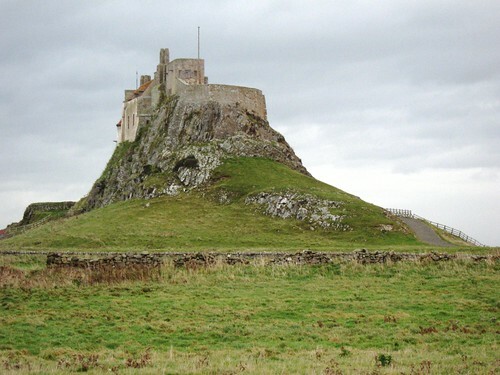 Lindisfarne castle, originally uploaded by gilfling. There has been a distinct lack of blog writing and reading around here lately! What with my new job, craft fairs almost every weekend and then a trip up to scotland to visit the family and also a few days with the future in-laws in lincolnshire this week time has been slipping away. I have a huge list of things to do - one of which is a much delayed blog post about an exciting group venture, also to update my up and coming events in the column here on the right and just to get back in touch with blog-land. We had such a lovely trip up to scotland last week although there is never enough time for visiting - my nephews and neice are growing up so fast and I miss them so much but we had good times even though the hours went so quickly. We went for a lovely day out on our way back to Holy Island - a place I remember going to as a child - a lovely island with a causeway which you can drive across only at certain times of the day. I would love to live on such a place as this although it would be a bit remote for Mark! The benefits of working from home I suppose. We have also decided we are going to get married next october although as is typical of me and my lack of organisation - that is as far as our plans go at present - I am sure it will all come together at some point! I do hope you are all well! More regular blog posts to come soon I hope! 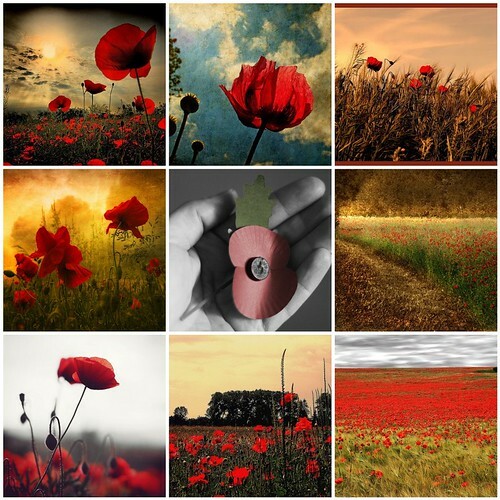 Lest we forget, originally uploaded by gilfling. Many thanks to all the photographers who have created these beautiful images.